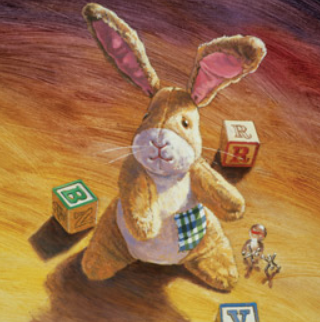 …and on other days, getting older is tempered by the Velveteen Rabbit. Let’s face it — I’m wearing down to the Real. “It’s a thing that happens to you..
then you become Real…It doesn’t happen all at once. I’m wearing down to the Real. My hair is getting gray at the roots, my eyes haven’t dropped out but night-time driving in the rain is risky, and there’s a certain delayed reaction with certain joints — I get up but my body lags behind my head. If my joints aren’t cracking, they’re stiff. But I’m wearing down to the Real. My heart is bigger, my insight deeper, my tolerance wider, my amusement heartier, as I get worn down to a well-loved vehicle. And I hate to admit it, but I even have some shabby – or is it flabby – matronly moments, too. But it’s taken me a long time to get to the Real Theresa…the reason-for-being, meaning and purpose in life, I can die and will have made a small positive difference Theresa who is comfortable in her own wearing out skin. And I am blessed, indeed. This entry was posted in Personal Musings and tagged getting older, middle-aged, musings, Velveteen Rabbit. Bookmark the permalink. You have said it so beautifully Theresa. I join the club with you. There comes a point in age that we finally say OK this is me and I am pretty darn good. We play well and laugh much and love more. Thanks for reminding me :o). I am wearing along with you . . . wonderful and insightful post! Peace . . . I think I’ve arrived at Real, too. So wonderfully written Theresa..tears and smiles..
…who’ve been flung in the corner; let’s have a party… Please have GI Joe wear the pink jeans. I’ll only invite Barbies whose favorite color is pink. You are Real Theresa. And rest assured, you have and are making a positive difference. Old should be something we look forward to since so many never get the chance to experience it. I am already pretty well worn but still moving! I am so glad I read this. It made my day! Thank you, and welcome to Soul Gatherings. Thanks for the likes on our blog. Thanks for visiting. Welcome to Soul Gatherings! I am so glad that this spoke to you, and appreciate your words of wisdom in return. We’ll be wearing down to the real together… With gratitude and blessings. 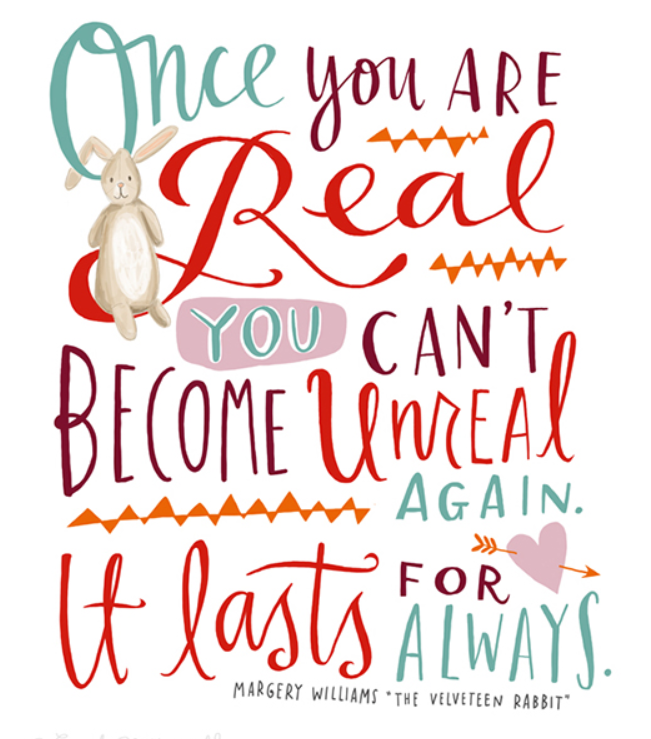 Oh I so love this (as I become more real by the day!) What a perfect pairing (wish I’d thought of it!) What a magical Real read! I absolutely agree with Old Mainer as it is a privilege denied so many, to become Real. After Saturday’s fall, I’m feeling Realer by the minute! This is so beautifully written. I was trying to write my own story on Saturday’s adventures but couldn’t seem to get myself together. So I read my (what is usually morning read) and discovered this waiting in my inbox. To those of you who are feeling more Real, enjoy! Beautiful post. May we all wear down to our “real” selves. And yoga sure helps with all the rest!